Berhanu Nega is a man that has been fighting one government or another in Ethiopia for over 40 years. He was just a young student in Addis Ababa University when he began the long journey of striving to fulfill his life’s passion: to see a fully democratized, united, and economically strong Ethiopia. Unfortunately, his vision for Ethiopia would cause Berhanu to go through many hardships: from jail to escapes through the desert to exile to sitting in desolate trenches with his soldiers; his was a unique struggle. Recent developments in Ethiopia have the reformist Prime Minister Abiy Ahmed vowing to create a political climate free from oppression, and this was exactly what Berhanu Nega had been waiting for all his life. He heeded the PM’s call and returned to his homeland of Ethiopia, after many years in exile. His welcome can only be described as one given to a hero. The thousands upon thousands of Ethiopians that flooded the streets proved that this man has the love and respect of Ethiopians throughout the country, but overwhelmingly within the Amhara region. A man that commands such support will inevitably be a political force to be reckoned with in the newly transitioning Ethiopia. Berhanu was born in 1958 in Bishoftu, formerly known as Debre Zeit, a city that is a short 28 miles or 45 kilometers away from Ethiopia’s capital city of Addis Ababa. Bishoftu is a popular weekend getaway spot for those looking to unwind in the numerous resorts overlooking the city’s six lakes. Berhanu an ethnic Gurage, was born into a family that had amassed a large fortune from the various successful businesses they ran. As a member of the upper class, one can characterize his early life as comfortable and devoid of serious worries. Growing up Berhanu would have been aware and interested in the Ethiopian Student Movement which began in 1960. The movement posed a challenge to the imperialism and monarchy at the time. The students, along with some teachers, played a vital role for paving the way for the 1974 revolution. In December 1960, students of the university college of Addis Ababa were the only organized group that gave public support to the abortive coup against Emperor Haile Selassie. The demonstration they staged was the first public defiance of the Imperial regime by students. The 1960 coup marked the birth of the movement and helped speed its development. This new phenomenon of students questioning the status quo of the feudal system must have interested young Berhanu. By 1974, the Imperial government of Ethiopia was overthrown by the Derg or Committee which were at first lauded by the members of the student movement. During this turbulent period Berhanu was a high school student witnessing the new Marxist junta’s brutal dictatorship. He saw with his own eyes as his father’s huge agricultural businesses, namely the commercial soybean and corn farms being seized by security forces. Finishing high school, Berhanu left his home in Bishoftu and began his studies at the same university housing the daring student movement. The Derg’s ruthless nature led to the student movement once again being active to protest against the soviet backed government’s policies and vicious methods. Berhanu began his lifelong political activism by being a part of these protests against the Derg government, during his freshman year as a student. Things soon turned ugly, and by 1977, the Derg government had had enough with political dissidents and began to stamp out all opposition. Fearing for his life, the seventeen year old Berhanu along with his two elder sisters joined the EPRP or Ethiopian People’s Revolutionary Party and began to hide from the police, living in safehouses created by the group’s underground network. Unfortunately, his eldest sister, only 19 years old, was found, captured and made to disappear within the many prisons of the Derg. Her whereabouts continued to elude the family, causing untold grief, until later, when some of her cellmates spoke of her death. Suicide by cyanide is believed to have been the cause; most dissidents carried cyanide pills around their neck and used them to avoid the horrific methods of torture common at the time (burning hot oil poured in ears, scorching metal rods inserted into female parts, etc.). Heartbroken, the grieving Berhanu witnessing the intensified crackdown in Addis Ababa, would along with his fellow radical activists take flight to a mountain in the north of Ethiopia, called Mount Asimba in Agame of the Tigray region. Formed in 1972, the Ethiopian People’s Revolutionary Party (EPRP), also known as, Yethiopia Hizbawi Abyotawi Party or Ihapa was the first modern political party in Ethiopia. They called for the fall of the monarchy, the removal of the feudal system and the creation of a democratic republic. Both the EPRP and another group MEISON (All Ethiopia Socialist Movement) ardently supported the Communist Derg government but with the rise of Colonel Mengistu Haile Mariam as chairman of the Derg, their relationship deteriorated. By 1976, the EPRP declared all out terrorist warfare against the revolutionary government, this conflict eventually led to the Red Terror, in which an estimated 250,000 people lost their lives. Berhanu, at the time joined the rural and militarized wing of the EPRP, which was called the EPRA or the Ethiopian People’s Revolutionary Army. This group was at the time active in the Tigray and Gondar regions and they used guerilla warfare as a tool to combat the Derg government. In the EPRP stronghold of Mount Asimba, Berhanu and his cohorts were joined by Red Terror survivors from the cities. The ELF or Eritrean Liberation Front openly provided support for Berhanu and his EPRP members, while negotiations with the TPLF or Tigrayan People's Liberation Front fell apart and hostilities ensued. On February 23, 1978, the EPRP attacked the TPLF in two different locations forcing them to leave the area. This short lived victory ended with the TPLF bringing in two of its veteran companies from the west and in a violent counterattack, they captured the EPRP stronghold of Mount Asimba. The surviving EPRP members once again fled to the sanctuary of the ELF and eventually made their way to Gondar, where they continued their fight. While all this ensued, Berhanu became disillusioned with the EPRP’s apparent lack of democracy and the centralized control wielded by the leaders of the group who were at the time going through a power struggle. More importantly, he detested the many killings committed by the group and openly criticized them. This led to his first but not last experience with political imprisonment. Unafraid to fight for his beliefs, the young activist was fortunate enough to be released after being detained for only a couple of months. Shortly after his release, the guards shot and killed 15 of his cellmates, having seen enough, Berhanu planned his escape. Consequently, he would undergo the perilous journey to the Sudan, where he would spend the next two years reading books on philosophy in Khartoum's public library, while awaiting his travel documents to the United States. In 1980, with his status as a political refugee and being granted political asylum by the United States, Berhanu now began to focus on improving himself and went back to school to continue the education he began in Ethiopia. 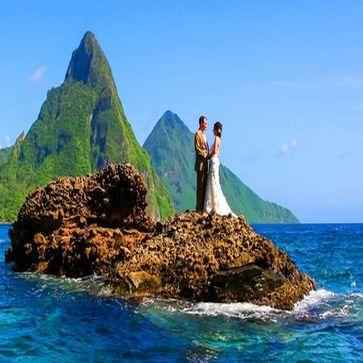 He rather wisely chose to move to the east coast of America in New York, which is considered the Rome of today's world. Here he enrolled at the State University of New York at New Paltz and successfully completed their undergraduate program for economics, while also playing on the soccer team. After receiving his bachelor’s degree in economics he would go on to receive his master's degree in economics at the same school. With his degrees in economics safely secured, Berhanu moved to Brooklyn, New York and pursued his PhD by enrolling at the New School for Social Research in Manhattan. While studying to obtain his PhD in economics, he continued to give special attention to his homeland by helping organize the Horn of Africa annual conference. For a period spanning five years, the group conducted high-level meetings that examined the current cross-cutting economic, political and social trends happening in the east coast of Africa. Their goal was to work towards a shared analysis on the Horn region’s dynamic issues as well as, its relationship with neighboring countries. The many political leaders, analysts, researchers and various other stakeholders would have provided Berhanu the perfect opportunity to create and enhance his political ideology for Ethiopia. Back at school, the dissertation paper for his PhD program was on the failures of Ethiopian agriculture under the Communist Derg. His focus on agriculture could be explained by the fact that he once had plans to take over his father’s farming interests in Ethiopia. Bucknell University a private liberal arts college in Lewisburg, Pennsylvania became Berhanu’s new home. Here he would be hired in 1990 as an Associate Professor in the economics department. His area of specialty was the popular elective of African Economic Development, in which he outlines development policies in sub-Saharan Africa. With a comfortable home in a wooded neighborhood just five minutes from the Bucknell campus in rural Pennsylvania, Berhanu would now start a family of his own. His wife, Dr. Nardos Minasse whom he married a year earlier in 1989, is an Ethiopian born optometrist who bore him two sons, Noah and Iyassu. Always concerned with current developments in his beloved homeland, Berhanu would also take time to create a popular bi-monthly magazine, called Imbilta. The magazine kept it’s mostly diaspora readers updated with the recent economic, social, and political affairs taking place in Ethiopia. An avid reader and never one to have much free time, Berhanu would also become the co-founder of the EEA or Ethiopian Economics Association. Established in 1991, the EEA is a non-profit organization for professionals free from political and/or religious affiliations. 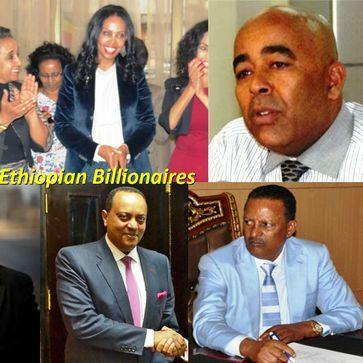 Since its formation, they have been actively engaged in economic research and training, as well as, actively organizing international, national, and regional conferences to facilitate discussions on Ethiopia’s economy. After a brief three years teaching at Bucknell University, a new development in Ethiopia would garner the attention of Berhanu in a very forceful way. In 1991, the communist Derg government was finally defeated by a coalition of forces primarily led by the ELF (Eritrean Liberation Forces) and the TPLF (Tigrayan Peoples Liberation Forces). Berhanu knew Meles Zenawi, the intelligent and charismatic man now in the forefront of the current Ethiopian political scene. Meles had attended the same university class as Berhanu’s dead sister had back in Addis Ababa. He believed Meles was someone that could create a political climate far removed from the previous oppressive regime. With this in mind, in 1994, Berhanu Nega would leave his job, pack his bags, and along with his wife and two young sons, head to his cherished homeland. In Ethiopia, Berhanu using his skills as an economist would pick up the remnants of his father’s businesses and also go on to create two companies: Ethiopian Agro-Maize (a fertilizer producing company) and Addis Village Family Home (a real estate company). A multi-tasking individual by nature, he would also serve as the EEA’s president from 1996-2000 and would use the opportunity to create the (EEPRI) Ethiopian Economic Policy Research Institute. In addition to all this, he also served as a consultant for the UNECA or UN Economic Commission of Africa and did part-time lecturing for the economics department in Addis Ababa University. One cannot say this man, was not actively engaged in the betterment of Ethiopia. Attempting to stay away from politics, he was an entrepreneur, teacher, consultant, researcher, and analyst; all for the creation of a democratic and developed Ethiopia. Berhanu wholeheartedly believes that democracy and development go hand in hand. By the spring of 2001, things took a turn for the worse, the now 43 year old Berhanu Nega was in for a shock. Up to this point, he was optimistic that his conflict ridden country was finally making a positive comeback. Wanting to create a free and open educational system in Ethiopia, he and the notable, Professor Mesfin Woldemariam, used the National Lottery Hall in Addis Ababa for a day-long forum discussing the heated topic of academic freedom, with university students and various other stakeholders in attendance. Hours later, Berhanu would travel to Paris for a business conference, and while still at the Charles de Gaulle airport, turning his phone on, he would hear of the calamity taking place at his university. A week later, on May 8, 2001, back in Ethiopia, Berhanu Nega and Professor Mesfin Woldemariam (founder of the Ethiopian Human Rights Council) would be arrested by armed security personnel. The day of the student protests in Addis Ababa University saw more than 50 students being injured and a week later, at least 40 people were killed during raids at the university. This horrific act was followed by widespread riots around Addis Ababa as protesters disaffected with government policies joined the mayhem in support of the students. Beginning as a peaceful student protest, it soon turned into a national crisis, and the government is purported to have used this as an excuse to crackdown on all government opposition. More than 2,000 students and about 150 political activists and journalists were arrested. Fortunately, for Berhanu, he was released only a day later on bail, and was never tried in court. These developments lit a fire in Berhanu and it caused him to leave his job as a lecturer and an entrepreneur to pursue politics full time. The reality became so terrible that we had to do something to try to change it. 2001 through to 2005 would see Berhanu Nega actively engaged in politics by becoming the founding chairman of the Rainbow Ethiopia: Movement for Democracy and Social Justice, which in 2004, preparing for the 2005 elections would join three other opposition parties and form the CUD or the Coalition for Unity and Democracy. The new group commonly referred to as Qinijit/Kinijit in Ethiopia was headed by Engineer Hailu Shawul, while Berhanu became the Deputy Chairman and Chief Election Campaign Strategist. The elections were intended to be free and open with European Union election observers in attendance. It was an exciting time for Ethiopians, who never had the opportunity to view political debates on television. Berhanu Nega had the rare opportunity to debate the then Prime Minister Meles Zenawi. Largely due to these televised debates the CUD rocked the elections, with Addis Ababa voting almost unanimously for them. The CUD chose Berhanu to be the Mayor of Addis Ababa, but before the final count, accusations made by the EU observers and the CUD of vote rigging caused the incumbent government to ignore the results altogether. The CUD called for country wide protests and the boycotting of businesses owned by the members of the government. The protests turned deadly, and almost all the CUD leadership was arrested, Berhanu being one of them. Unfortunately for Berhanu, his third time around at political imprisonment would have him stay for a much longer period, as he was charged with genocide and treason. While at the infamous Mahakelawi or Kaliti prison, Berhanu had the chance to congregate with various members of society viewed by the government as enemies of the state. What shocked me and subjected me to many sleepless nights, even more than our detention, was the kind of individuals in detention, the reasons for which they were detained, and their opinions about their detention and the [Ethiopian] government. Most detainees were Oromo nationals suspected of supporting the OLF….As of that time, I became convinced of the fact that the Oromo issue is deeply rooted and that if such hateful feelings are allowed to continue unabated, unity of the country will be in grave danger. By 2007, an arduous 21 months later, in what could only be described as a "hell hole", with porous roofs, cramped conditions, and extreme temperatures, Berhanu, after numerous visits to Police Hospital was released. Immediately upon his release, he was exiled, and forced to flee to the United States, even though he had relinquished his residence permit; a requirement to hold public office in Ethiopia. The US government showed sympathy towards Berhanu by circumventing the law and issuing him a new residence permit while still in prison. Back in the States, Berhanu would take up his old teaching position at Bucknell University, and never one to forget Ethiopia, he would continue his struggle. 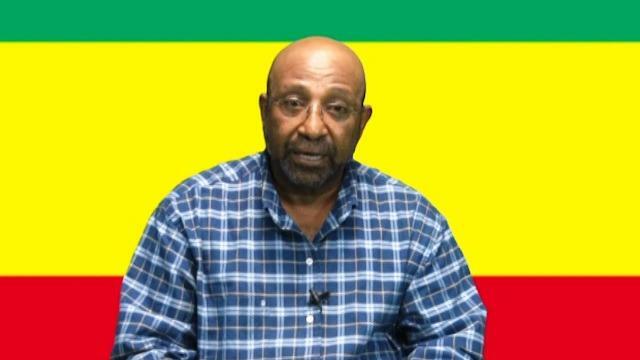 Only a year after being released from prison, in 2008, Berhanu Nega and Andargachew Tsige would form Ginbot 7, registered in the US as a non-profit humanitarian organization actively engaged in Ethiopian opposition politics. Ginbot 7 named after the deadly May 15th elections, enjoyed unprecedented support from the diaspora as well as clandestinely in Ethiopia. A short year later in 2009, the Ethiopian government claimed it foiled a coup attempt orchestrated by Ginbot 7, and sentenced Berhanu Nega to death in absentia. Berhanu’s role within the group was to be the group’s intellectual leader and principal fundraiser. All this changed in 2014, with the arrest of Berhanu’s friend and cofounder Andy (Andargachew), while transiting through Yemen from Eritrea. With the subsequent arrest and detention of his friend and countless others, Berhanu had had enough. He volunteered to take Andy’s position in the field training their Ginbot 7 rebel soldiers in Eritrea. Was I going to remain an academic, sitting in an ivory tower criticizing things? Or was I going to do something as an engaged citizen? ...We owe it to them to do everything we can…I have completely given up on the possibility of a democratic change [we have to overthrow the government]...by all means necessary. With these ominous words in tow, Berhanu would put his house up for sale and take an indefinite leave of absence from Bucknell University, where he became a full professor. His sons had grown up and attended top ranked colleges in the US: University of Pennsylvania and Carnegie Melon. Noah, his son, had already taken up a position as an investment banker in New York. Leaving his family behind and a tenured position at the university, Berhanu would pack his bags and head to Eritrea to take up armed struggle against the Ethiopian government. In 2015, 300 miles southwest of Asmara (Eritrea’s capital) the Ginbot 7 soldiers were stationed in a mined and militarized rebel base camp at the border with Ethiopia. Here several hundred soldiers would train and wait for orders of an assault. Berhanu as the commander would also make contact with agents smuggling highly sensitive information about Ethiopian troop positions and about the abilities of the resistance cells within Ethiopia. After ten months in Eritrea, Berhanu would fly back to the United States to update his Ginbot 7 compatriots as well as, attend his son, Iyassu’s graduation. Berhanu is not an American citizen and his US citizenship has been put on indefinite hold, but he uses an Eritrean passport along with his green card. 2018 has seen the widely popular Prime Minister Abiy Ahmed take bold steps to bring peace and reconciliation to all Ethiopians, both locally and internationally. Andargachew Tsige would be released from prison after 4 years, and both he and Berhanu’s death sentences would be dropped. The time had finally come for Berhanu Nega to rejoice and return to his beloved homeland of Ethiopia to help build the type of country he has always envisioned. After witnessing the masses welcoming him back, it now stands to be seen how this brave idealist will attempt to help heal and develop a nation in turmoil. Berhanu Nega and his family have a home in Pennsylvania, where his wife Dr. Nardos Minasse continues to practice optometry.